Homemade soup makes a warming lunch treat and is also a great starter for any meal. I thought it may have required an excessive amount of push to make a palatable mushroom soup, however this one can't be flawed. There is no dishonesty here; no insane procedures or additions. 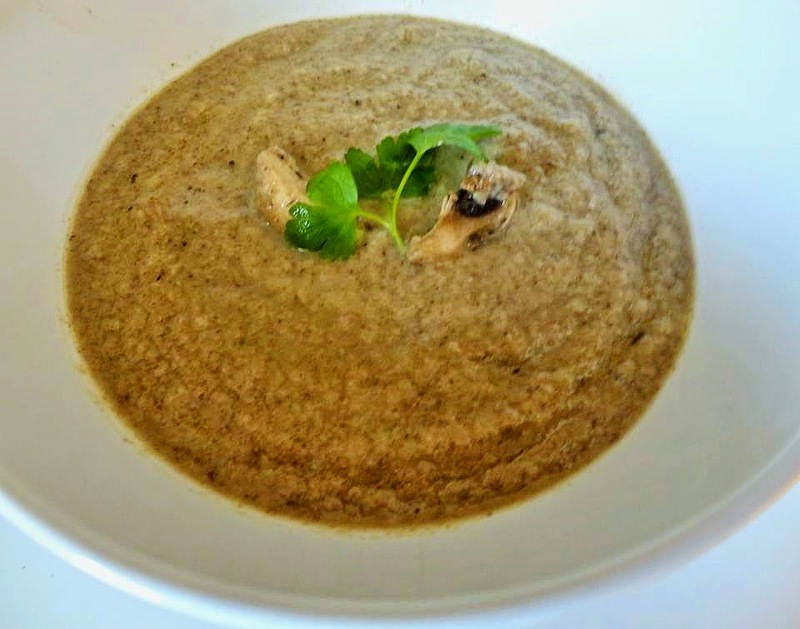 It is simply some onions blended with mushrooms, which by one way or another consolidate to make this incredible soup on it´s own but it´s the dry sherry that gives it an extra edge. This was one of the least demanding weeknight dinners I've made and sincerely, a standout amongst the most delightful. 1. Melt butter in a large saucepan and fry the onion until it is translucent but not browned. 2. Add the field mushrooms and garlic and continue frying, around 15-20 minutes. 3. Add the dry sherry, turn up the heat and let the soup boil; this burns off the alcohol in the dry sherry but still keeps the flavor. 4. Leave to cool and then transfer to a blender. Whiz into a smooth paste. 5. Add the vegetable stock and blend until smooth, then add the parsley and the cream and blend together. 6. Pour back into the saucepan and heat gently. 7. Serve with crusty bread.